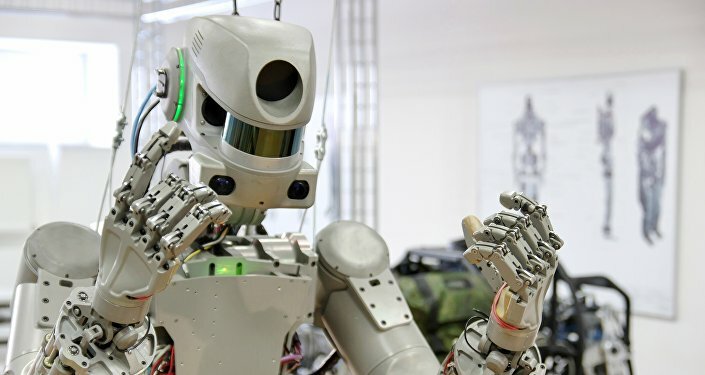 The Russian Defense Ministry's official television network has released impressive footage of its new Nerekhta tracked combat robot as it faces off against a mobile remote-controlled kamikaze. 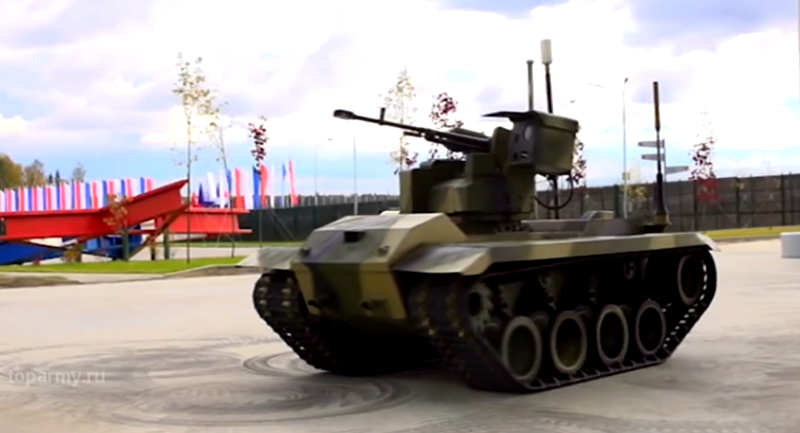 The video shows off the fully automated, turreted, tank-like robots as they fire at stationary and moving targets, and advance alongside conventional armored vehicles and infantry during drills in Russia's Vladimir region. One of the two armored Nerekhtas is shown firing large caliber rounds from its Kord heavy machine gun, literally blasting a big hole in a brick wall at the test range. The other unit, fitted with a PK Kalashnikov machine gun and an AG-30M automatic grenade launcher, fires on moving 'robot kamikazes', a smaller remote-controlled tank capable of serving as a remote demolition unit with up to 250 kg in onboard explosives. The Nerekhta universal combat platform, capable of independently traversing up to 40 km at speeds of up to 30 km per hour, has potential not only as an assault unit, but as a mobile field medic, transporting injured personnel from the front line, and as a resupply unit, sending weapons and ammunition forward. The armored robot's quiet propulsion system also makes the system ideal for artillery reconnaissance, according to developers. After testing wraps up, the Nerekhta system is expected to join up with the Russian ground forces, designated first and foremost for use by Spetsnaz and in counterterrorism operations. The 2.5 m by 1.6 m armored light tracked chassis platform is about 90 cm tall, and weighs about a ton. In addition to its combat, transport and artillery recon roles, designers plan to equip the system with heavy weapons, including anti-tank missiles. The Nerekhta platform was developed by the Moscow-headquartered Russian Foundation for Advanced Research Projects, in partnership with the Degtyarev Plant, a Vladimir Region-based enterprise specializing in a wide variety of light and heavy weapons systems, alongside its civilian production.